Hi guys, unfortunately I’m a bit under the weather. I’m not sure if I will be able to make something today, however I really want to. So if I don’t end up making anything today, I will try to make something on the weekend. Today I made brownie cheesecake. I am making it for my cousin’s 10th birthday. This was really fun to make and it was my first time making cheesecake. As you will see in the recipe, it takes time for it to cool and solidify so make sure you don’t over cook it. I really like these! They are so tasty. Thank you Phoebe, for the recipe! Feel free to give me a recipe and if you have given me one, I will make it. I just need some time to do all the delicious looking things! Make sure there are no lumps then set aside. 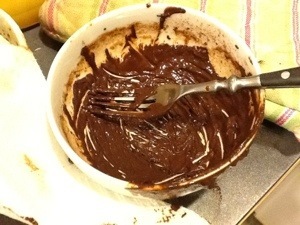 Melt the butter and chocolate together (either in a microwave or in a bowl placed over a saucepan of simmering water. When melted, allow to cool slightly. In another bowl, beat the eggs with the sugar and add vanilla extract. You can do this with an electric mixer or by hand. Beat for a few minutes until the mixture is well combined and just beginning to froth. Pour in the melted chocolate and butter and finally flour and salt. Pour the mixture into the baking tin and swirl in the cheesecake mix. Make any design you like but be careful not to mix it too much or you won’t get the marbled effect. Bake for about 25 mins. Be careful not to overbake as brownies should be a bit squishy in the middle. The cake will continue to cook once out of the oven so don’t worry if it seems undercooked. Allow to cool and cut into slices when cold. 2.Spread apples in pan. In medium bowl, stir remaining ingredients except cream until well mixed; sprinkle over apples. 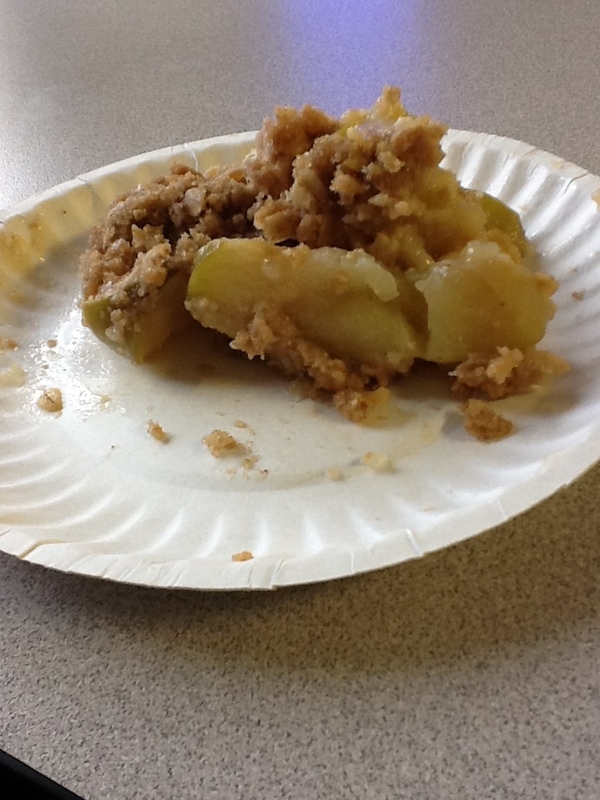 3.Bake about 30 minutes or until topping is golden brown and apples are tender when pierced with a fork. Serve warm with cream or ice cream. Hi guys, just letting you know if you go to my school, don’t use your real name when you comment. Also please don’t use my name in the comments. It is a privacy issue that the school has talked to me about. So please keep the comments coming. I love the comments and love seeing what you think. In fact, feel free to comment saying what you think I should make next. So please just change your name when you comment and all will be well. But as I told you, send me comments I really enjoy them. Happy Valentines day! 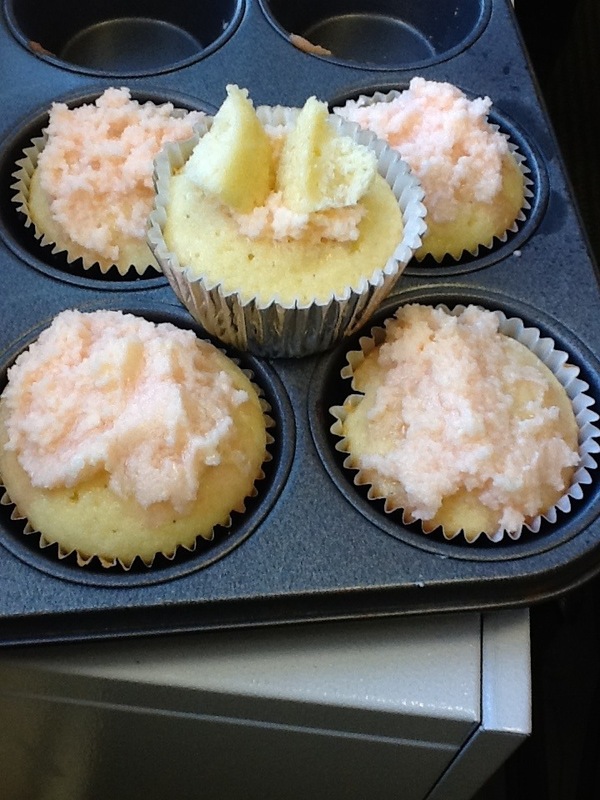 For today I decided to make some cupcakes 2/14/13. I know it is Thursday, but I think today is a good day to bring them in. They are vanilla with pink butter cream frosting. They are also butterfly style. If you don’t know what that is, I will upload a picture a little later. I just wanted to tell you now and have a Happy Valentines Day! Picture coming soon. These cookies were my very first dessert to bring to my class. As you may be able to tell, they aren’t extremely complicated. 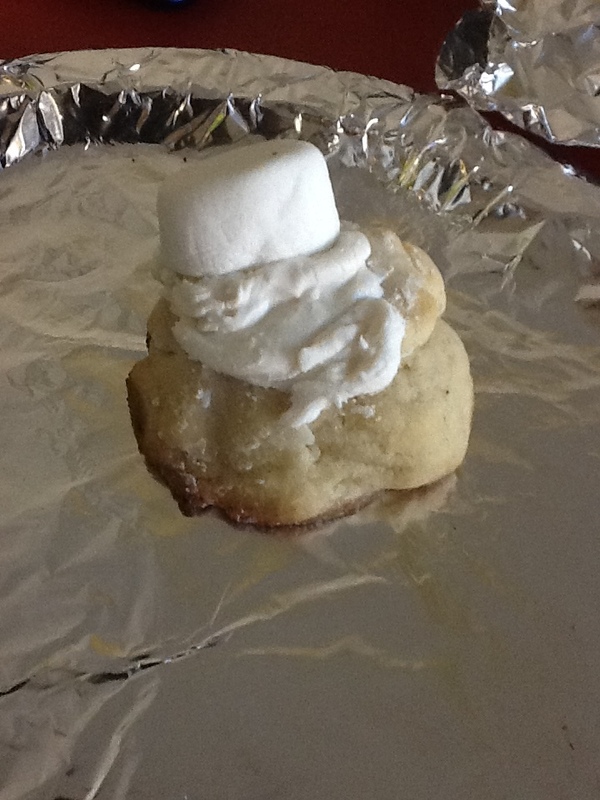 It’s simply a sugar cookie with a bit of frosting and a marshmallow for a head. When I asked my classmates for some feedback, I was pleased that it was all positive. I’m very sorry but I can’t find the recipe I used however I’m sure any cookie would work with any icing. Make the cookies more flat when you put them in the oven. Also make sure you have enough cookie dough for all of your class. I got this idea from http://allrecipes.com/cook/pam-3boysmama/blogentry.aspx?postid=150047. So thank you very much! Hi guys! On 2/8/13 I brought blondies for my class. I was extremely nervous about them because I had heard feedback that they were a bit sweet but then I thought, I think my class can handle it. It turns out they could. I got lots of great, positive feedback and I even managed to get a picture. Warning: this picture is not very good, the blondie is missing its chocolate chips and it is only a tiny piece, I don’t think the picture does it justice. Also, I did not use the nuts in this recipe because my school has a no nuts rule but I think it could be fun. Preheat oven to 350 degrees F (180 degrees C). 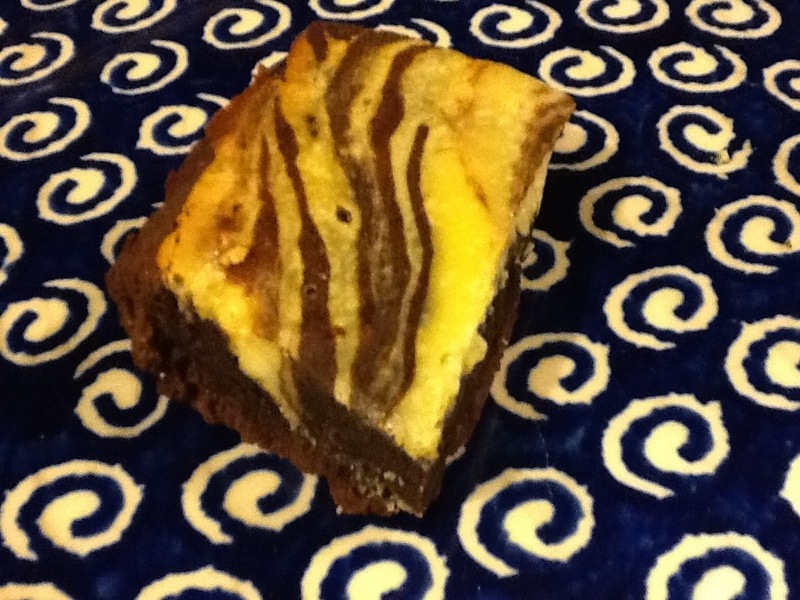 Grease a 9×9-inch baking pan. Measure 1 cup sifted flour. Add baking powder, baking soda, and salt. Sift again. Add 1/2 cup chopped nuts. Mix well and set aside. Spread the batter into the prepared pan. Sprinkle 1/2 to 1 cup chocolate chips on top. Bake in the preheated oven until a toothpick inserted in the center comes out clean, about 20 to 25 minutes.